The 2015 mountain bike stage race reached it’s halfway point on Wednesday in the most dramatic fashion as wet weather made an already challenging route even tougher, causing havoc with the leading riders in all categories. The conditions took their toll on both bikes and riders on a stage that incorporated a passage through the Kammanassie, a remote, rugged mountain nature reserve that’s seldom visited because it’s roads are unreasonably steep, rocky and loose and challenging to ride, even by the most skilled mountain bikers. Leaders Matthys Beukes and Gert Heyns (SCOTT Factory Racing LCB 2) secured the stage win and extended their overall lead despite having to deal with a puncture early on; and the women’s race lead changed hands, also due to a puncture suffered by overnight leaders, Esther Suss (SUI) and Catherine Williamson (GBR) of Sasol Racing. Beukes sliced a tyre just before 40km into the stage and was fortunate to get a wheel from SCOTT Factory Racing LCB stablemate, Philip Buys, who then set about repairing Beukes’s tyre, fitting it to his bike and then making his way, with teammate Arno du Toit, to the finish. Beukes and Heyns clocked a time of 03 hours 58 minutes 42 seconds, almost 15 minutes ahead of runners-up Buys and Du Toit, who managed to ride through the Kammanassie without any mechanicals, unlike many of their rivals, who were curtailed by at least once puncture each. “When Matthys punctured on a relatively smooth road, we knew it was important not to panic. We were fortunate to get Phil’s wheel and then caught the two teams that were leading by the second water point. Through the Kammanassie we were able to ride about three-quarters of the big climb, which I think was further than most and certainly helped us build our lead,” explained Heyns. “We were surprised to see Phil and Arno finish second, but they are skilled and had a good run through the Kammanassie. You can lose or gain serious time there, depending on how well you can ride that kind of terrain,” added Heyns. Team Jeep’s South African paring of Thinus Redlinghuys and Dylan Rebello, the Dutch duo of Bram Rood and Mos Gerben (KMC-Mitsubishi-Koga-Stauwdam Assen) and the Italian brothers Robert and Emanuele Crisi (Celeste Kento Avvenia) all suffered punctures during their Kammanassie traverse. They were fortunately all able to continue to the finish, but conceded time losses, both on the stage and overall. Rood and Gerben finished third on the stage and are third overall, 4:40 behind the Crisis, who are now 18:41 behind Beukes and Du Toit going into Stage 4. While many teams endured misfortune on the stage, the Kammanassie saved it’s greatest act of spite for Suss and Williamson whose gains from the two previous days, were undone in a moment by a sliced tyre that took them an age to repair, in the process relinquishing their race-leadership pink jerseys to Day 1 victors, Robyn de Groot (RSA) and Jennie Stenerhag (SWE) of Ascendis Health. De Groot and Stenerhag crossed the finish line of the 94km stage from Oudtshoorn to De Rust in 4:36:00, almost 19 minutes before the despondent Sasol Racing pair limped home. The Ascendis Health duo now has almost an eight-minute lead over Sasol Racing going into Thursday’s Stage 4. “It’s never nice to lose the race lead because of a puncture. We know, we lost our lead in the Cape Pioneer Trek last year in the Kammanassie,” said stage winner and new leader De Groot. “It seems you either have good luck or bad luck in the Kammanassie. This year we were fortunate to have good luck and it’s given us the stage win and the lead. We weren’t ever that far behind Esther and Catherine today and felt a lot empathy for them when we passed them,” said De Groot. “We focussed on being conservative today and not taking any risks and I guess that helped us with a trouble-free Kammanassie crossing. We will do our best to defend this lead now, but as we all know, with mountain biking, things can change in a moment,” added De Groot. In the Veteran men’s division Rob Sim and Doug Brown won the stage and extended their overall lead. 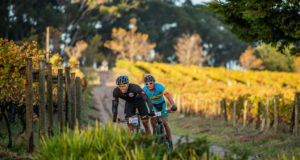 But their nearest rivals overnight, Craig Gerber and Marius Nel (Cape Brewing Company) were victims of the Kammanassie, finishing well down the field more than an hour later. Leon Erasmus and Bradley Hempell (Salty Lion) finished the stage in second, with the Bus Boys pair of Greg Anderson and Deon Kruger taking third and moving up to second on the General Classification. The Masters race saw Stage 1 winners Waleed Baker and Joao Mendes (PitStopSports2hHR) grab the victory ahead of arch rivals Lieb Loots and Izak Visage (Wilde Masters) to almost double their overall lead to over 12 minutes, while Kobus and Fienie Barnard captured their third successive stage win to extend their lead in the Mixed Category. 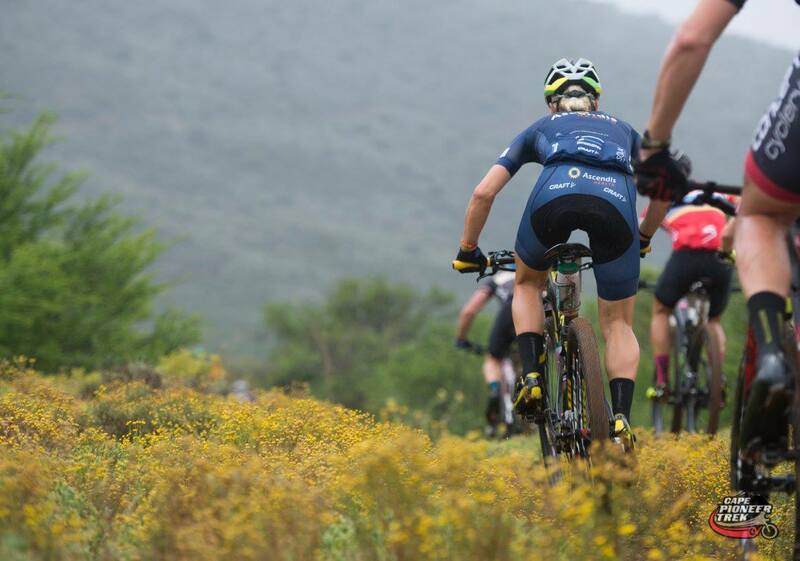 The Solo men’s race saw Craig Uria (RSA) move from second to first overall with a dominant stage win that saw him cross the finish line fifth overall, while Lara-Ann Everts-Van de Venter (RSA) confirmed her dominance of the Solo women’s category with another stage win. 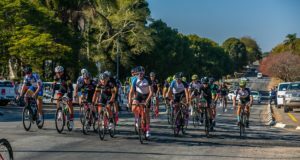 At 66.3km, Thursday’s Stage 4 may be short, but with 2150 metres of ascent and a mountaintop finish on the summit of the Swartberg Pass, is undeniably formidable. Dubbed #SwartbergShowdown, Stage 4 is sure to make even further impact on the race standings. For more information on the Cape Pioneer Trek, visit www.capepioneer.co.za. For race updates, follow @CapePioneerTrek on twitter and for photo galleries, like Cape Pioneer Trek on Facebook.